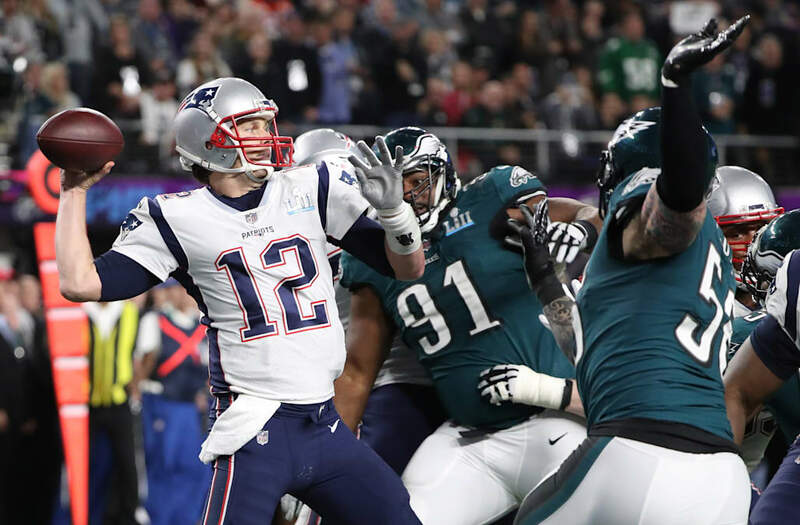 Sunday night's Super Bowl was wild, and not just because the underdog Philadelphia Eagles pulled out the upset over the New England Patriots. The game had so much offense, it sent records tumbling. The two offenses combined for 1,151 yards, a record not just for the Super Bowl but for any modern NFL game. A lot of those drives stalled before the goal line, though, so this wasn't quite the highest-scoring Super Bowl on record. The 41-33 game was just 1 point shy of the most total points ever for the Super Bowl. Patriots quarterback Tom Brady got in on the record-breaking, too. His 505 passing yards were the most in any NFL playoff game, including the Super Bowl — though he doesn't have a sixth title to show for it. And the Patriots as a whole put up another, somewhat bittersweet record. Their 33 points were the most ever scored in the Super Bowl ... by the team that lost the game.